I thought there would be no way this would live up to the hype. I thought that since intellectuals liked it than it couldn't be an authentic sports book. Glad to be wrong on both counts, because this is a Matt Christopher book disguised as a Great American Novel. Harbach writes with the urgency of a sportswriter hustling to beat deadline, with intricate knowledge of baseball, as well as the feel of the locker room. This book is also as effective at plopping you back into the rhythms of college life with the skill that Harper Lee synthesizes childhood in To Kill a Mockingbird. The Art of Fielding lifts and breaks your heart every other page, makes you feel like you have known its characters all your life and hits you hard with their triumphs and tragedies. Its confrontation of Steve Blass disease is intimate and chilling, and its exploration of friendship and romance at varying levels shimmers with penetrating insight. This is one of those books that's so good that a movie would have so little chance of matching its magic that you hope one never gets made. 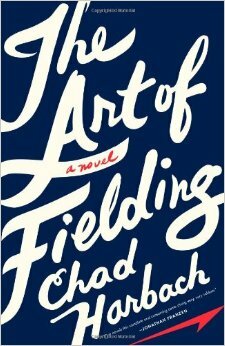 And then you think of Field of Dreams and Bull Durham, and imagine how perfectly an Art of Fielding Movie would fit into the pantheon of great baseball films that you yearn for a film adaptation anyway. Like a Cubs or Red Sox fans who dreamed of an impossible World Series title that would never come, until it finally did. 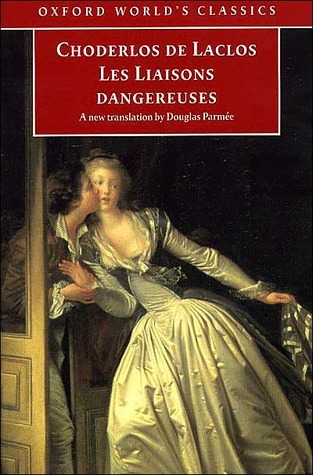 The Marquise de Merteuil is one of the great anti-heroes of literature and a bold advancement in the name of the feminism, circa 1782. She twists social and sexual repressions of the times to her favor, playing the social manipulation game with slick cunning. There is no doubt that George R.R. Martin drew heavy inspiration from her when creating Cersei Lannister. She seduces everyone around her in person and with her devilish pen, convincing them to do her dirty work by implanting thoughts and motives in their mind so effectively that they become convinced they were their own. 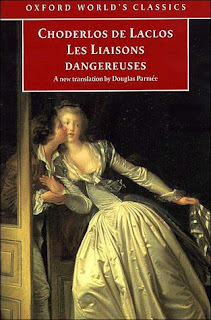 Pierre-Ambroise Choderlos de Laclos's subversive plot revels in scandal and keeps the plot lively as his characters embed themselves deeper into the Marquise's web, as well as that of her seeming ally in deception, the Vicomte de Valmont. The book excels at showing that beauty is evil's most compelling and convincing face, and charisma is its most potent fuel. I don't always like Charles Dickens' writing, but I respect his ability to tell a story and push the right emotional buttons. He knew the way to tell an impactful holiday take was to dress the sentiment in dark, brooding surroundings that exposed his characters to a chilling doom and punishing sense of nostalgia that the season can deliver. When you're curled up by the fire reminiscing over beloved memories, you're confronted with the fear that things never may again be so sweet, as well as past opportunities lost. 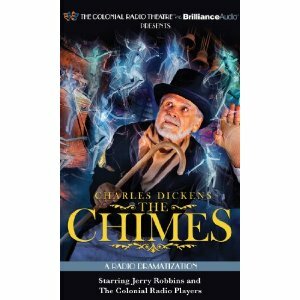 Dickens embraces this darkness in The Chimes just as effectively as he did in A Christmas Carol, taking on themes such as failed marriages, lost youth and the misery of dedicating yourself to unfulfilling work to grind out a living. Ringing bells come into play again and again, like Poe's raven's haunting calls of "nevermore" -- the sweet sounds belying the harsh finality of times left behind. This is close to a horror story, and even the uplifting ending carries a nagging bitterness with it. Dickens was in a bad mood when he wrote this, and his work is all the better for it. He went out to tell a quick, sharp story and did away with all the frivolous window dressing he burden his greater novels with. The Chimes deserves more credit than it gets, and sticks with you in the hours in between readings. It's quick enough to be worth revisiting year after year, to provide a grim tap on the shoulder that life and whimsy are fleeting, and the chimes that signal the end of your time on earth will sound for all sooner than expected. Charles Dickens wasn't even trying here. He wrote the tiny book in three months, but he may as well have only spent three days on it. 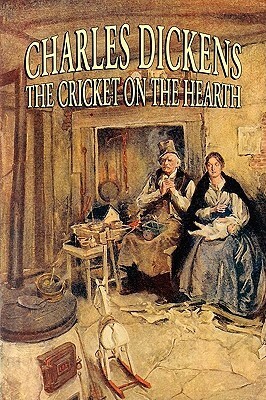 A schmaltzy attempt to pull heartstrings during the holidays, "The Cricket on the Hearth" is a dull, lazy tale of a Scrooge-like old man who marries a young gold digger, then decides to let her go when the spirit of the season warms his heart. It's somehow even dumber than it sounds. None of the trademark Dickens charm or whimsy is here, but all of his tendency to over-describe pointless scenes shows up. Mostly made up of scene-setting padding of drab surroundings, the plot could have easily been boiled down to a short story, which in turn could have been edited into one boring run-on sentence that would best be forgotten. -Abe Lincoln slept in the same bed with a dude for several years. -Abe Lincoln didn't believe in an afterlife and was probably an atheist. -Mary Lincoln was a crazy person who tried to kill him more than once. -Abe Lincoln never went to college and became a lawyer just by reading a bunch of books. 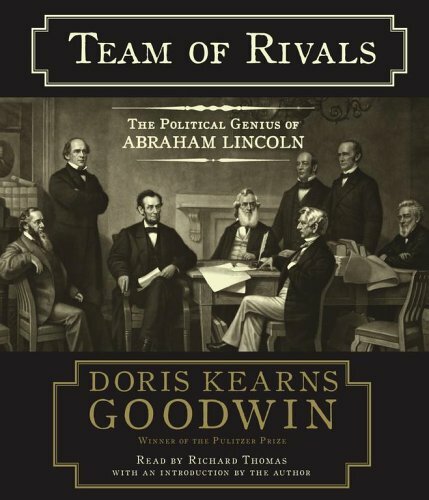 -Abe Lincoln never voted for himself in a presidential election. The first time he demured because he found it unbecoming to vote for himself. The second time, when he wanted to vote for himself because he was terrified he was lose, he wasn't allowed to because his home state of Illinois didn't involve absentee ballots. -The Civil War started simply because Lincoln became president and southern states were afraid he would try to abolish slavery, even though all he wanted from the outset was to prevent new northern territories from becoming slave states. He was perfectly cool with letting the southerners go on with their slave thing as long as they were willing to remain a part of the union. -Abe Lincoln really messed up the beginning of the Civil War. Possibly so he could justify seizing more power and ramming through his buried anti-slavery agenda. 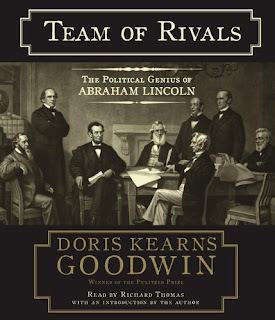 -Abe Lincoln knew his assassin's dad and watched him perform in plays quite often. This was everything I desired out of a biography, and highly recommended reading to anyone who wants a more complete understanding of the era and its politics.